90001237 There is 1 product. 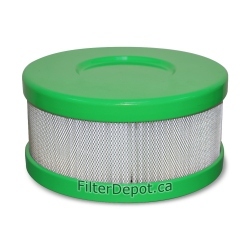 Amaircare 90-A-04GR-SO Snap-On HEPA Filter Green is Amaircare original replacement HEPA Filter cartridge. Amaircare 90-A-04GR-SO filter fits Amaircare Roomaid Mini portable air purifier.